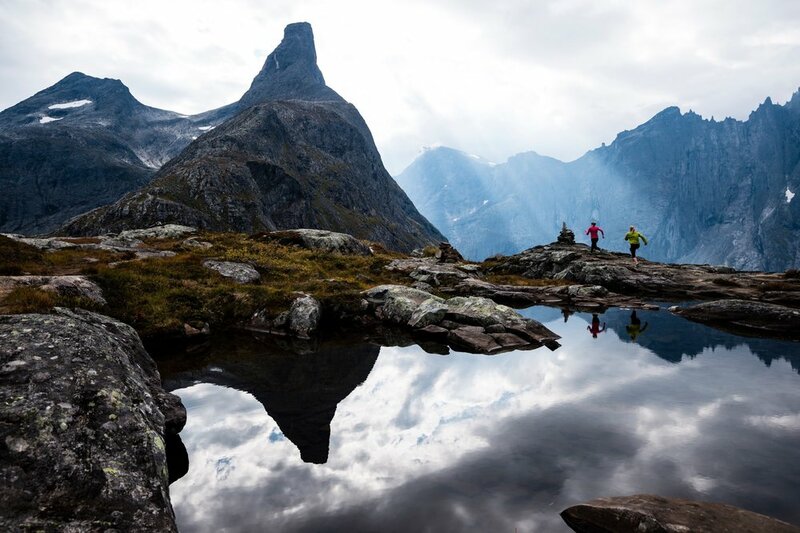 One of the most northernly countries we travel to, Norway is a land of extremes. And with the changing of the seasons come massive swings in daylight, meaning that during the summer months you get more adventure packed into every day—perfect. 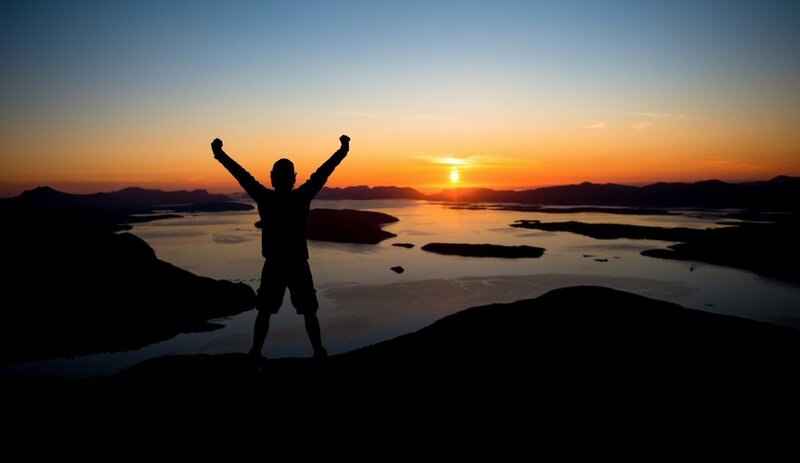 We offer several spectacular journeys through the fjords of Norway for all kinds of travelers. 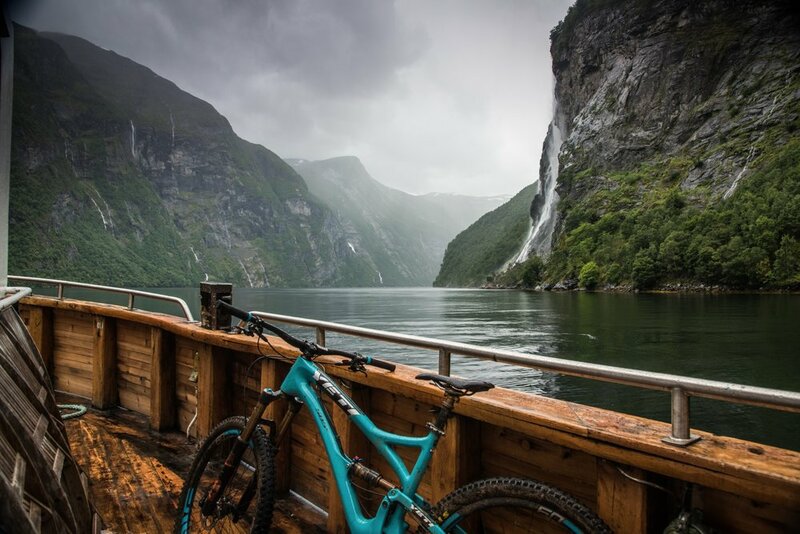 The first is an eight day nautical exploration of the nooks and crannies of Norway's coastline by mountain bike. 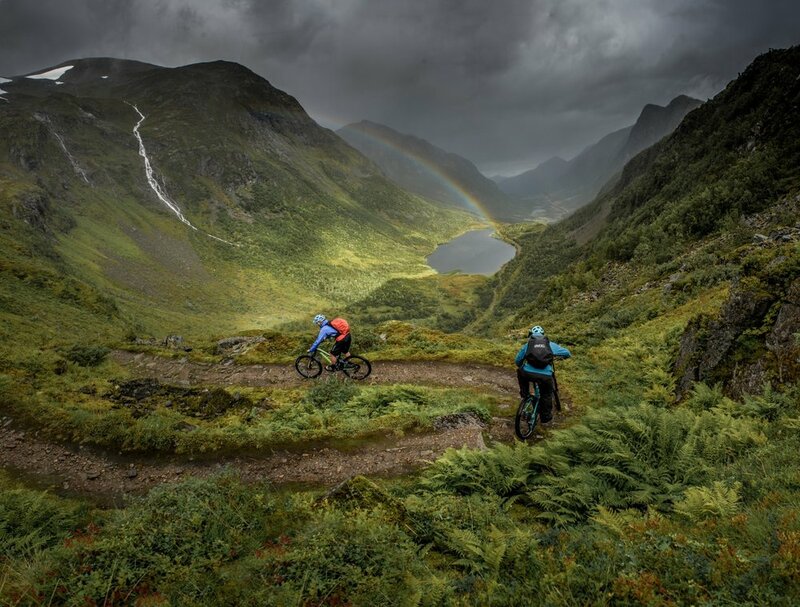 Advanced riders only need apply, as the terrain found here is challenging and dramatic. 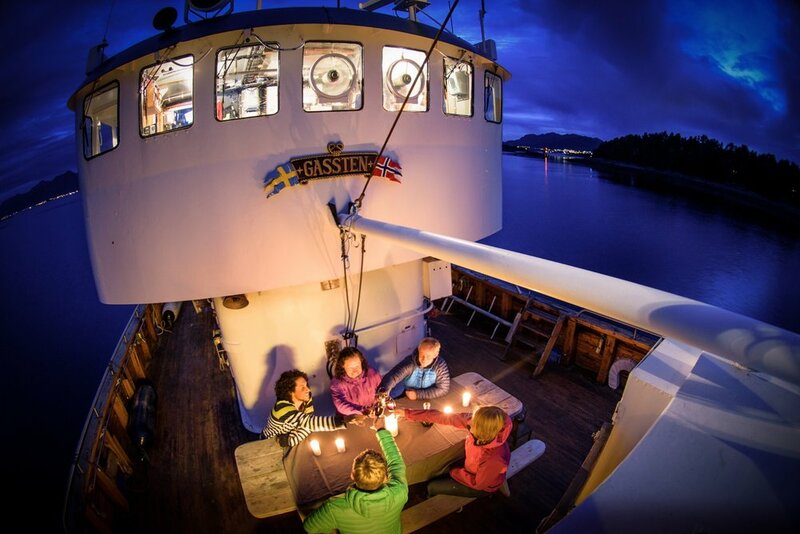 The other option is open to travelers of all athletic ability, and is based on the same floating base camp—the Gåssten. 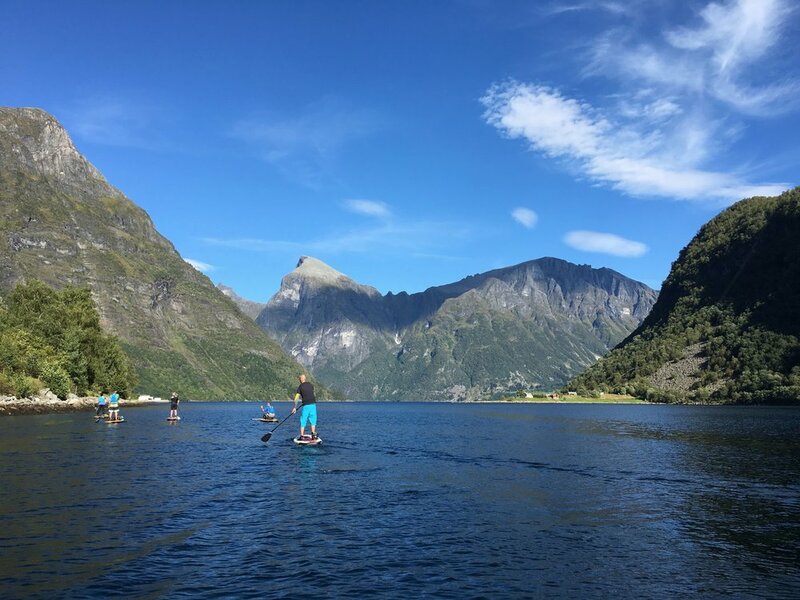 You'll float to remote cities on the coast and SUP, swim, fish, and sight-see your way through some of the most scenic areas on earth. Either way you can't go wrong! 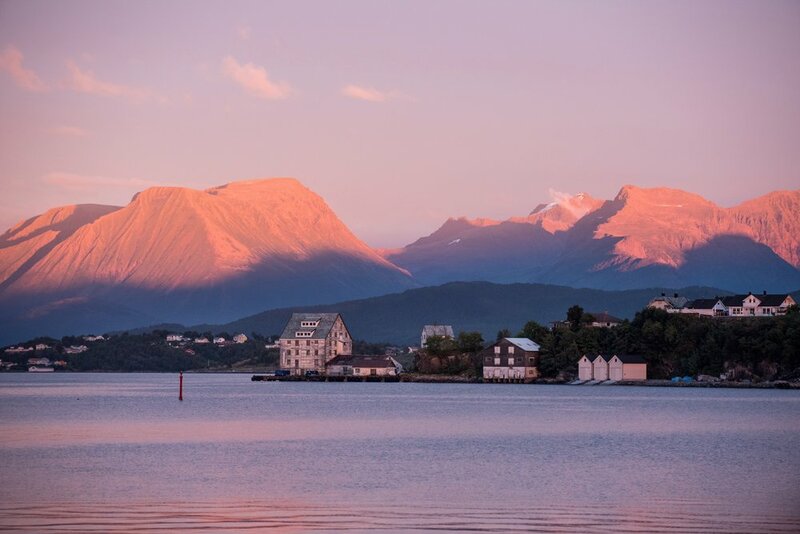 "On the second day, you'll go ashore to explore the restored fishing village of HjatØya. Tour the historic houses, school, and fishing buildings that creak with years of stories. 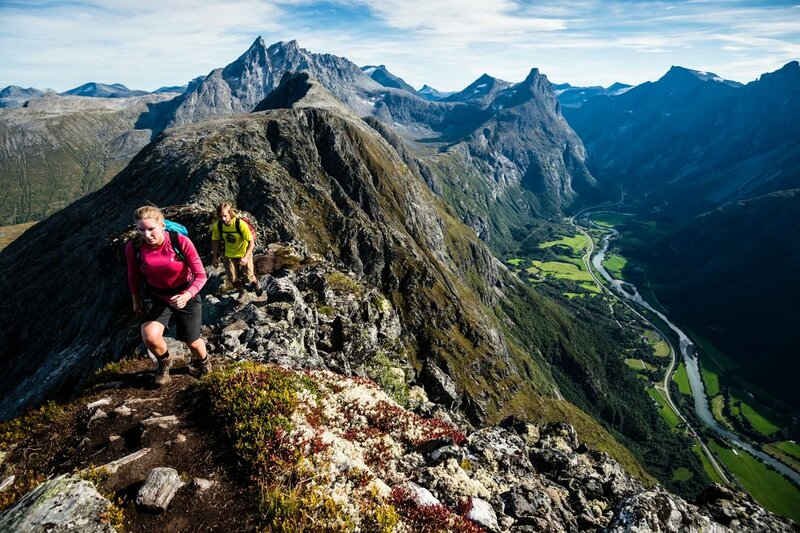 Then hike along the coastline through open forests with incredible views of the Romsdalsalpene mountains across the fjords. If you'd like, take a dip in the chilly waters after your hike for an invigorating wake-up!" "Your last day will be spent cruising back to Molde. But make the most of your time along the way. 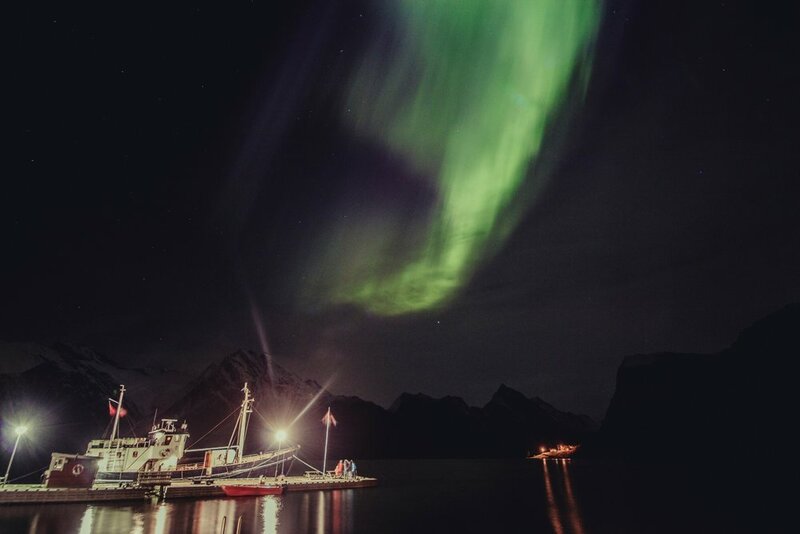 Throw in a line to see if you can beat the size of your last catch, get in one last paddle, or opt for our guide's favorite—jumping off the roof of your ship to celebrate a grand finale to your epic week in Norway." 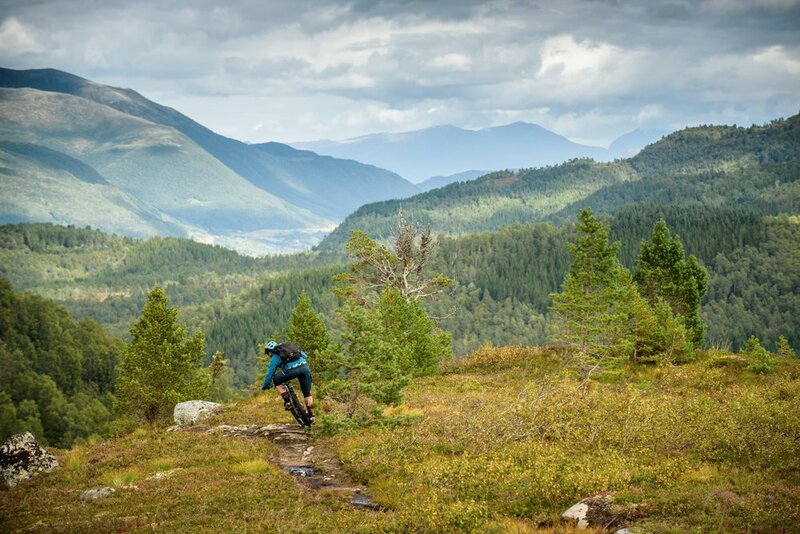 Introducing three new active trips to Alaska, Croatia, and Norway. Bike, hike, and paddle your way through these incredible countries under your own power with excellent guides. If there's one way to see big African game up close and personal, it's by mountain bike at the Borana Lodge. Where do you go when you crave western adventure without leaving the country? The Ranch at Rock Creek. Our favorite ways to maximize your time in South Africa's vineyards.